firmly on laid back southern ground. long that life has been. no need to take it off. Born in Toronto Canada in 1951, Ken was hauled off to a Salvation Army church meeting at the tender age of three weeks where the hand clapping gospel environment put a musical fire in his soul that continues to this day. As time progressed, Ken’s pianist-guitarist mother and multi-instrumentalist grandfather became major influences in his musical development. The young music lover progressed from crawling around under his mother’s piano to several years of piano lessons to playing guitar regularly at church. Ken’s mother organized a ‘string’ band which emulated the Carter family style as well as gospel quartet tunes. ‘Gabby’, as granddad was affectionately known, played accordion, violin, Hawaiian guitar, and piano. He sent Ken his first guitar in the mail from Chicago at the age of eight. Ken took to it immediately but continued to play cornet, euphonium and tuba in Salvation Army and high school bands. Then rock and roll, called the ‘devil’s music’ by mom and dad, came into his life and changed everything. With his little ear glued to a transistor radio in the back of dad’s Volkswagen beetle he was exposed to Elvis, Little Richard and the Everly Brothers. Listening to, and reading about, his heroes, the Rolling Stones, brought Ken into contact with the blues. During visits to Chicago, Gabby took his grandson to the famous Maxwell Street Market where Ken was exposed to authentic blues and gospel. He carried the passion of this music home with him and became a devout student of the blues. Hearing Paul Butterfield, James Cotton, Muddy Waters and the great Chicago bluesmen led the way to Ken becoming the harmonica player and singer in his first band, the Basement Blues Band, in the late 60s. 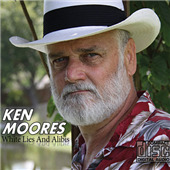 Ken started scratching out a living on the Ontario bar circuit playing rock standards, blues and occasionally original tunes. The Toronto scene at that time was hopping with the likes of Ronnie Hawkins, Steppenwolf, the Band, Neil Young, Joni Mitchell and Gordon Lightfoot – all providing a rich and varied musical education for the young minstrel. Noticing that many musicians paid homage to their roots influences, and also hearing country flavorings in rock in the late 70s (Eagles, Poco, Nitty Gritty, Stones, etc.) Ken explored his own roots by playing mandolin in several bluegrass bands. This influence is still prevalent in Ken’s music today when mandolin flavors are called for in tunes such as ‘Maggie Mae’, Stevie Winwood’s ‘Back in the Highlife’ and ‘Rag Mama Rag’ by the Band – Ken’s ‘homies’ from southern Ontario. Ken became well know for his raw John Fogerty-style vocals with the CCR tribute band Green River. This band toured extensively throughout North America and the Caribbean for five years. They opened for the Marshall Tucker Band in Norfolk, Virginia where they received a standing ovation and played three encores as the opening act. Apart from music adventures, Ken’s passion for travel has taken him to 48 countries where he has, of course, absorbed musical influences. He went back to university at the age of 37, gained both bachelor’s and master’s degrees and a teaching certificate and taught English in Japan for 7 years. While in Japan, Ken built a respectable digital studio and became a mentor for local Japanese rock musicians hungry for the ‘real thing’. Ken rekindled his interest in piano –taking lessons from a very cool Japanese honky tonk piano player –and leans toward the Dr. John, Jon Cleary New Orleans style of piano playing. 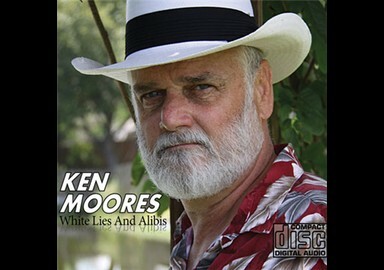 Somewhere along the line, Ken decided to become a songwriter and has continued to write in many genres and styles. Today Ken resides in Cocoa, Florida where he continues to record in his home studio. He is putting the finishing touches on his soon-to-be-published musical biography called ‘The Devil’s Music”. 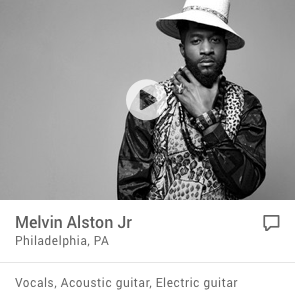 All his musical influences have coalesced into a multi-faceted and original blend.